The Michigan Nature Association is hosting the Moose on the Loose Family Fun and 5K this Saturday, August 26, 2017 in Marquette, MI. This event is a great way to show support for responsible conservation efforts and wildlife management in Michigan! 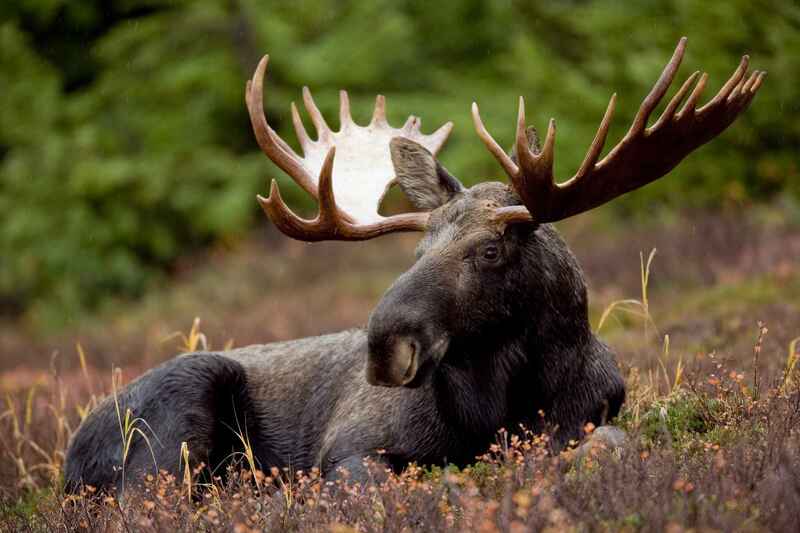 After European settlers arrived in Michigan, “moose were pretty much all over” the state, said Rachel Clark of the Michigan History Center to Michigan Radio. Following this, Michigan’s moose population declined as a result of overhunting and habitat destruction from human settlements and logging. Eventually, moose mostly disappeared from the Lower Peninsula. Moose populations in the Upper Peninsula have risen and fallen in recent years, and despite a rise in western UP populations, moose are still in need of habitat management and protection, including a balanced relationship with their natural predators, like wolves. Populations have declined on Isle Royale, but dwindling wolf population to a single pair of adults has allowed moose to thrive, as considerations to import wolves to the island are being made to maintain predator-prey balance and vegetation growth for moose diet. 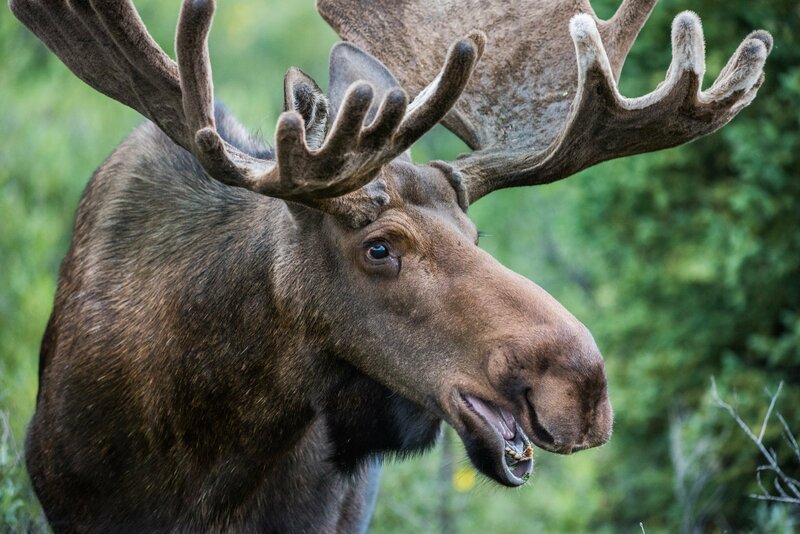 While currently listed as a “species of special concern,” the US Federal Government considered adding the moose back on the Endangered Species List last year, as this status does not afford the animals or their habitat any protections, and nearly 60% of Minnesota’s moose population has declined in the last decade. In an interview for MLIVE, DNR Wildlife Division chief Russ Mason said moose populations are declining for a variety of reasons, which include habitat loss, predation and climate change, and because moose are conditioned to live in cold climates, warmer temperatures are putting all moose at risk of overheating, which leads to malnutrition and compromised immune systems. The Moose on the Loose Family Fun and 5K will be a must for moose and wildlife enthusiasts and families! Help continue to protect moose throughout Northern Michigan by participating in MNA’s Moose on the Loose Family Fun Run & 5K on Saturday, August 26 at Presque Isle Park in Marquette! 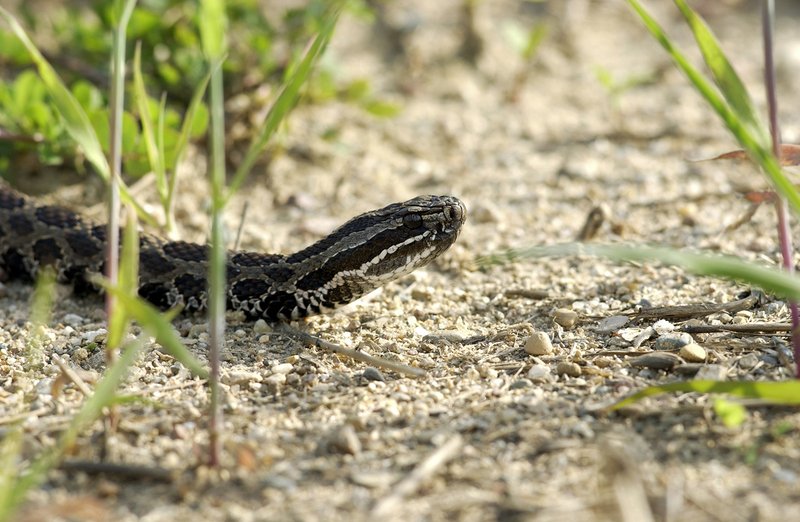 Studying Michigan’s massasaugas, the state’s poisonous rattlers (Showcasing the DNR bulletin): Michigan has become an important laboratory for the study and preservation of the eastern massasauga rattlesnake, the only venomous viper that inhabits the state. Massasauga rattlesnakes were listed as a federally threatened species under the Endangered Species Act in 2016 and are thereby protected animals. Asian Longhorned Beetle. Photo: DNR. August is Tree Check Month (Statewide DNR News): The U.S Department of Agriculture has declared August as national Tree Check Month – time to be on the lookout for invasive, destructive pests threatening Michigan’s urban and forest landscapes. Take 10 minutes this month to check trees around homes for Asian longhorned beetle or any signs of the damage it causes. Like the emerald ash borer, the Asian longhorned beetle spends most of its life cycle eating its way through the insides of trees. What makes this beetle much more dangerous is that it feeds on a wide variety of tree species. Its first choice is maple, but it also will infest birch, elm, willow, buckeye, horse chestnut and other hardwoods. Trees infested with Asian longhorned beetle must be destroyed to prevent the insect from spreading. Massasauga rattlesnake. Photo: USFWS Midwest. DNR calls on citizen scientists to report cougars, feral hogs, and other wildlife with new app (Michigan Radio): The Department of Natural Resources invites Michigan residents to contribute to conservation efforts by reporting their fish and wildlife observations with the new Eyes in the Field application. Available at michigan.gov/eyesinthefield, the application replaces 15 separate observation forms the DNR had been using to gather important information about the state’s fish and wildlife populations. Eyes in the Field includes forms for reporting observations of diseased wildlife, tagged fish, mammals such as cougars and feral swine, fish such as sturgeon, birds such as wild turkeys, and reptiles and amphibians such as eastern massasauga rattlesnakes. Additional observation forms will be added in the future. Crown Shyness. Photo: Dag Peak. Trees are aware of their neighbors and give them room (Treehugger): In ‘crown shyness,’ some tree species respect those nearby and keep their leaves to themselves. The phenomenon has been studied since the 1920s, and is also known as canopy disengagement, canopy shyness, or intercrown spacing. It doesn’t happen in all tree species; some species that do it only do it with trees from the same species – some species do it with their own as well as other species. MDEQ Minute YouTube video. Photo: MDEQ. New video gives tips on identifying red swamp crayfish (Statewide DNR News): Though they are native to southern states, red swamp crayfish are considered invasive in Michigan because they compete aggressively with native crayfish species for food and habitat. They feed on plants, insects, snails, juvenile fish and other crayfish, disrupting the food chain for many aquatic species. The Michigan Department of Environmental Quality has created a new video to help people identify and report red swamp crayfish. 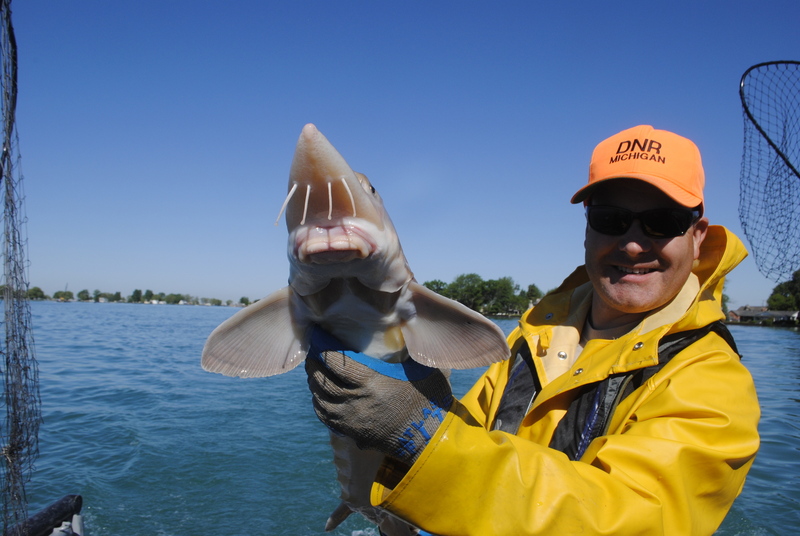 The video is the third in the department’s MDEQ Minute series, offering 60-second views on a broad range of topics including new and potential invasive species in Michigan.